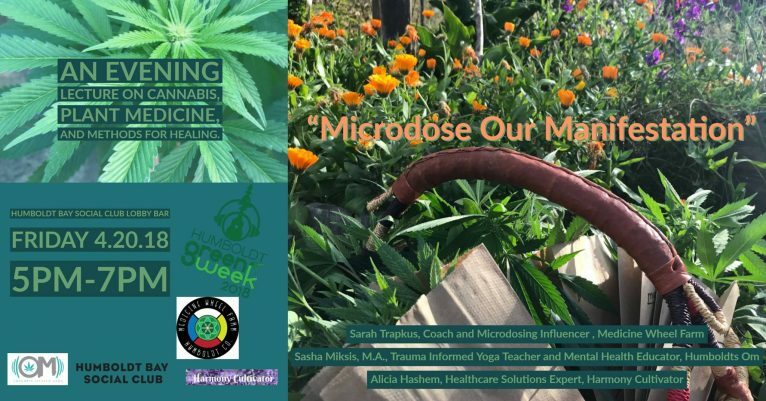 Join Humboldt Green Week and Humboldt Bay Social Club for a very special “420” evening lecture with three powerful perspectives on ways to build relationships with cannabis and plant medicine to expedite personal growth and healing. Free to the community. 10% of bar proceeds to benefit local NPO.